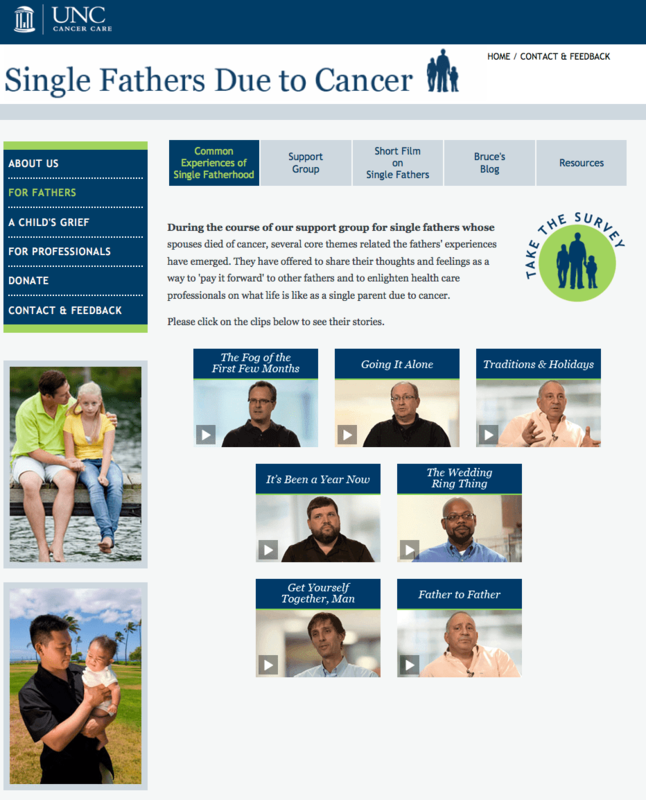 Beery Media is honored to have recently produced the video components for UNC Hospital’s new website, “Single Fathers Due to Cancer“. This important website looks at the effects losing a wife to cancer has on the family. Several amazing men opened up about their experiences, feelings, and the reality of being a single parent due to the death of their spouse. The Lineberger Cancer Center program and website was recently featured on NBC’s TODAY show with this story by Dr. Nancy Snyderman. WATCH HERE. It has also been featured on WRAL TV with a report by Debra Morgan. WATCH HERE. Visit the site and view the Fathers’ testimonials HERE. This entry was posted by Nic Beery on March 27, 2013 at 3:08 pm, and is filed under Uncategorized. Follow any responses to this post through RSS 2.0.You can leave a response or trackback from your own site.